LS Polls 2019: Rahul Gandhi has assets worth over Rs 15.88 crores, according to the affidavit filed by him on Thursday. 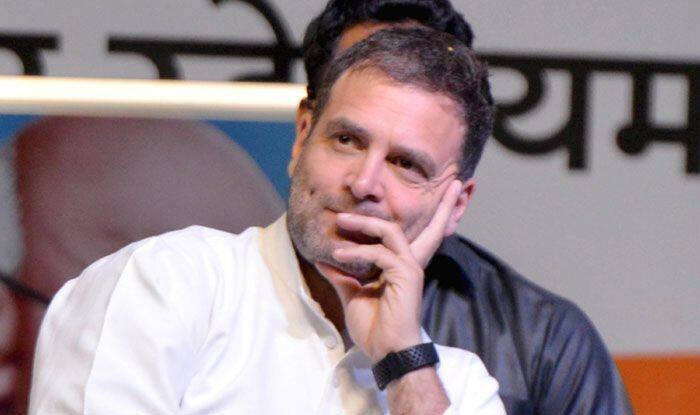 New Delhi: Congress President Rahul Gandhi on Thursday declared his asset value to be Rs 15.9 crores, as compared to Rs 9.4 crore which he said to be his asset value in 2014 Lok Sabha elections. The Congress scion declared his assets value while filing nomination papers in Kerala’s Wayanad. The Congress president, who is also contesting from Amethi seat, has declared in his affidavit that there were five cases pending against him. Two of the cases against him are registered in Maharashtra and one each in Jharkhand, Assam and New Delhi, according to the affidavit. He continues to own a share in the inherited farm in Sultanpur Village in Delhi. The affidavit also shows that Gandhi owns two office spaces in Gurugram. The affidavit shows that the total income for the year 2017-18 was Rs 1,11,85,570. Gandhi has declared that his source of income was MP’s salary, Royalty income, rental income, interest from bonds, dividends and capital gain from mutual funds. Notably, the Lok Sabha Elections 2019 will begin on April 11 and will be held in seven phases. The model code of conduct came into immediate effect from March 10 and the counting of votes will take place on May 23, 2019.